Living in a landlocked state doesn’t always make for fresh seafood. But I love, love, love snacking on crustaceans, mollusks, and other aquatic fare. So between coastal visits, a girl’s gotta get by, and the Red Lobster isn’t gonna cut it. Luckily for me, there are a few choices around the Nashville area. 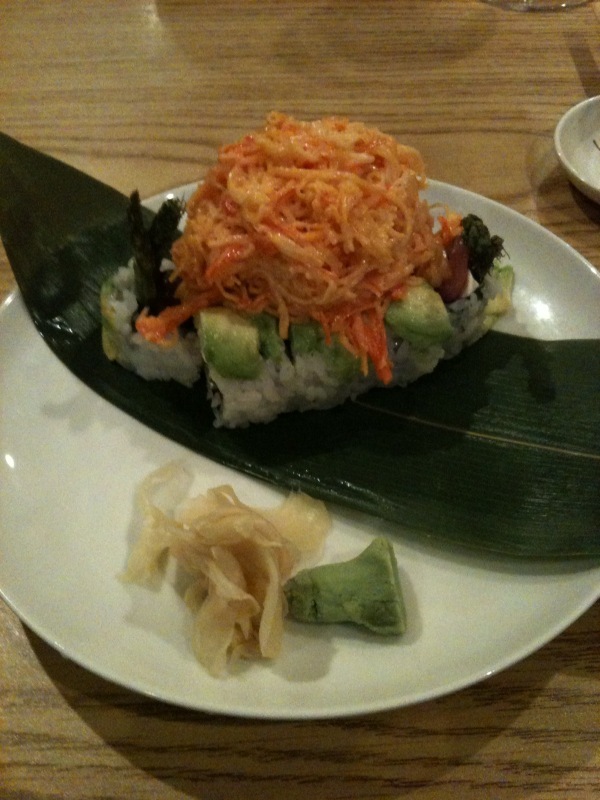 And when it comes to sushi, I’d say Samurai Sushi is one of my best options. 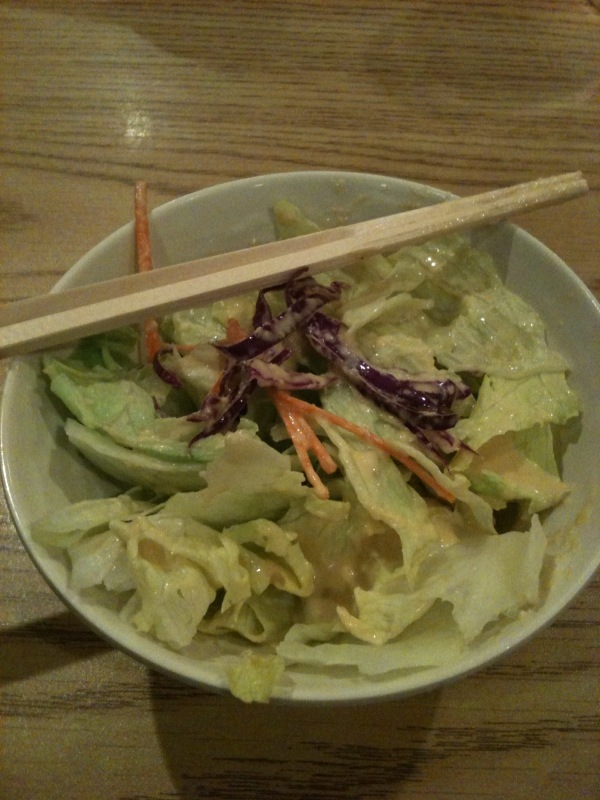 Of course I start with a house ginger salad, because it’s what you do. But this ginger dressing is so good. It’s thicker and creamier than most, and I find it downright drinkable. But the real reason I show up is for the Volcano Roll, introduced to me by MKR. This roll combines avocado, tuna, asparagus, and just the right amount of cream cheese. 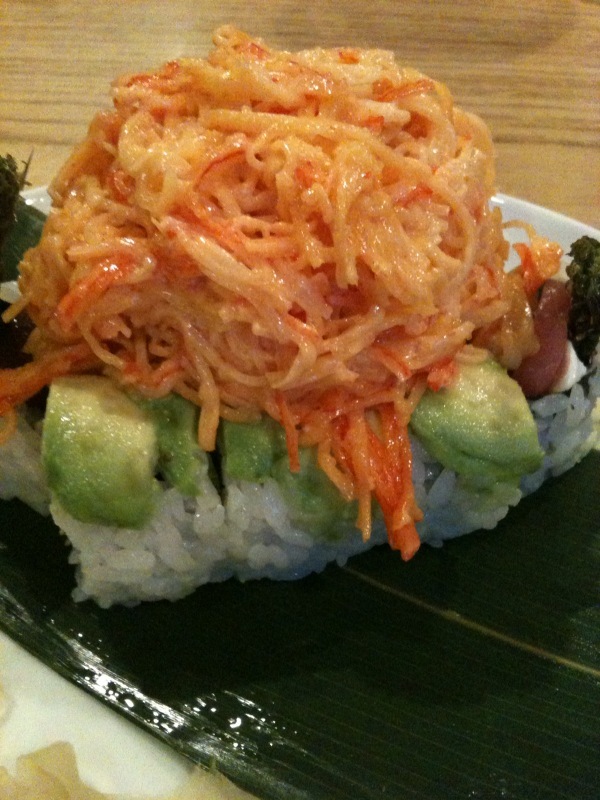 Sitting on top is their Dynamite Roll filling, which is a basically a mountain of spicy crabmeat. Let’s take a closer look. Mmm … crab … I will be going back for this soon! I can’t seem to stay away due to all the cravings. Side note: Who do you think was the first person who looked at a crab and thought to himself, I’m gonna figure out a way eat that thing? A brave soul, I tell you. But I sure am glad he did. And speaking of crabs, watch these 150 million Christmas Island crabs migrate and have babies. Totally makes me feel better about the 13-year cicada swarm that’s gonna happen to us this month. Nature is so weird and fascinating. Categories: Friends, Restaurants | Tags: christmas island, crab, crab migration, dynamite roll, MKR, samurai sushi, seafood, volcano roll | Permalink.